If you have oriental rugs in your house, it’s important that you have them professionally cleaned. Trying to clean them yourself can leave you with a damaged rug and out lots of time and money. Not only do professional cleaning services have the right products to clean your oriental rugs, they are properly trained in the technique that must be used in treating delicate rugs with different dyes and fibers. These rugs are created with lots of care and skill and should be cared for in the same way. Professional cleaners can ensure that your rug not only gets clean, but that it’s completely preserved and not compromised in the cleaning process. Typical carpet cleaners and techniques aren’t always safe to use on your delicate oriental rugs. While it might seem like a cheaper or more convenient solution to do it yourself, you will be doing yourself a big favor if you bring in professionals. They will save you time and lots of money in the long run, especially if your rugs are antique or expensive. If you treat your oriental rug with care and splurge occasionally on a professional clean, you can expect to have a rug that lasts a lifetime. The carpeting in your home makes a statement. It tells people how welcoming you are. It lets them know your style. It also alerts them to how clean you keep your home. If your carpeting is dull, dingy, and dirty, it gives off a bad impression. Thankfully, the experts at Extreme Carpet Cleaning can provide you with the services that will make your home welcoming, stylish, and fresh. One of the benefits of having your carpets professionally cleaned is that it saves you money in the long run. While you do have to pay for the services, it actually extends the life of your carpets. When you take care of them, they can last a lot longer. Having the carpets cleaned by the experts also means that your family will be able to breathe better in the house. You may not realize it, but your vacuum does not pick up all the dust and dirt that is flying around the house. It settles in the carpet, and infiltrates the air in the home. When you call in the experts to clean out the carpets, they are actually freshening the air in your home. The experts now how to tackle each type of stain and each kind of carpeting. They will be able to remove stains with ease without damaging any of the fibers of your carpet. If you are not happy with the status of your carpets, contact the professionals at Extreme Carpet Cleaning Baltimore. They will be able to put new life back into your home with their expertise. You won’t regret it. Call Now 443-204-7457. Nobody ever wants to use them, but it is a great thing that emergency water clean up services exist. They can help you out whether it is a natural flood or the result of faulty piping, or anything in between. If you find yourself in this kind of situation, call the experts at Extreme Carpet Cleaning. You will be amazed by the benefits you will receive. The experts at Extreme Carpet Cleaning can help you to save many of your possessions. While some may be damaged beyond repair, the professionals will be able to salvage much more than the average person could on their own. This will save you hundreds or thousands of dollars since you will not have to replace everything. When all is said and done, it is much more cost effective to call in an emergency water clean up service, such as Extreme Carpet Cleaning, than it is to replace everything. They will also be able to rid your home of any waterborne bacteria that may have come in on the water. This is especially true for water that came from dirty pipes or a contaminated water source. Even after much of the water is gone, the bacteria could live on in your home With the professionals by your side, you can rid your home of this bacteria and keep your family safe. If you are in an emergency situation and need help cleaning up water damage, contact the professionals at Extreme Carpet Cleaning. They will help to get your life back to normal as quickly as possible. When you experience a flood or any type of water damage, the last thing you want to do is worry about the clean up process. No matter how important it is, it is a hassle that no one wants to deal with. Thankfully, you don’t have to. You can pass the unfortunate task on to the professionals at Extreme Carpet Cleaning. The first and most obvious benefit of calling in the professionals is that they will do their best to save whatever they can. They may be able to salvage many of your possessions, your carpet, and your furniture. Whatever they save does not have to be replaced, and that can save you substantial amounts of money. One of the benefits that people often overlook is the future damage that you are preventing. When water damage affects the house, it can cause damage to the structure that may go undetected for a while. However, if it is properly cleaned up right away, the water does not have time to eat away at beams and other structural devices. Getting rid of the water right away also prevents mold, insects, and other animals from setting up house in your home. When there is a water supply and a food supply, critters gather and mold forms. It is much easier to prevent these catastrophes than it is to reverse them. 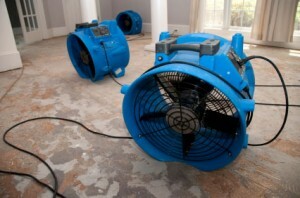 If you have had water damage in your home, contact the professionals at Extreme Carpet Cleaning. They will work to save you a major headache. No one wants to deal with water damage. Whether it is from a natural disaster, a leak in a foundation, or a busted pipe, it can destroy parts of your home. Thankfully there are professionals who know how to address such issues. If you are experiencing water damage to your possessions, your carpet, or your furniture, call in the experts at Extreme Carpet Cleaning. They will know how to tackle your dilemma efficiently so that you can get on with your life. One of the benefits of calling in the professionals is that you save money in the long run. When you call in the professionals at Extreme Carpet Cleaning, you may be able to save your furniture and your carpeting. That means that you don’t have to spend the money replacing it. Another benefit is that you can rest assured that your family will be safe after the damage is done. The water itself is not the only hazard when it comes to water damage. Depending on where the water came from, there could be bacteria or other illnesses living in the water. When you call in the professionals, they will be able to get rid of the water and anything that it may have dragged in with it. You can rest easy knowing that Extreme Carpet Cleaning is keeping your family safe. There is no reason for you to suffer with the water damage on your own. 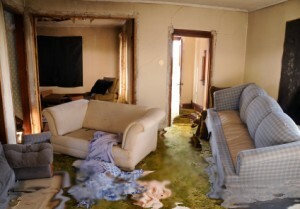 If you are a victim of water damage, call in the professionals at Extreme Carpet Cleaning. You won’t regret it.